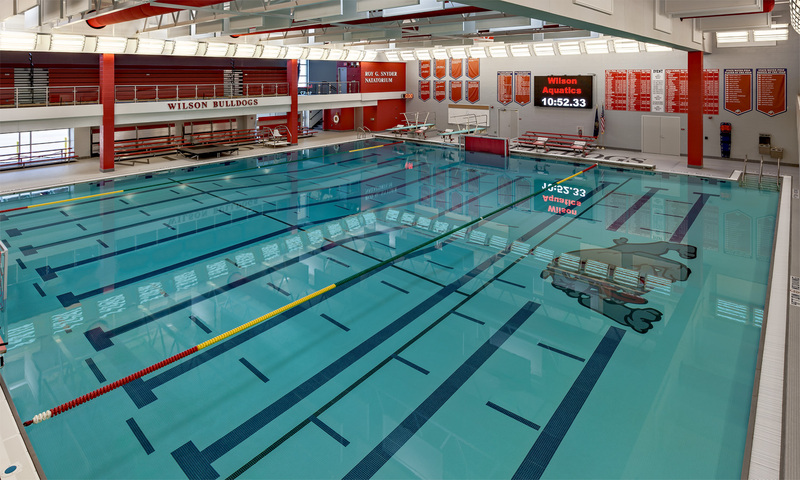 The Wilson School District has had a long history of supporting an extensive aquatics program. 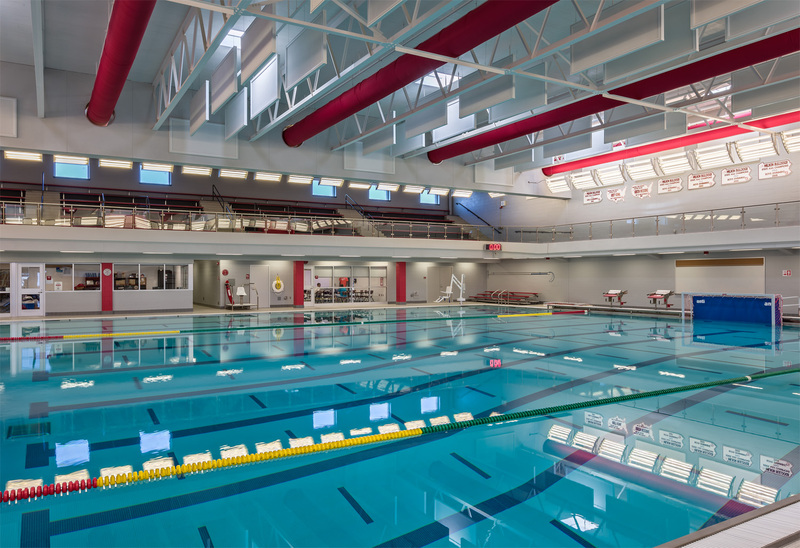 In 1966 the District finished construction of the first aquatics facility in Berks County. 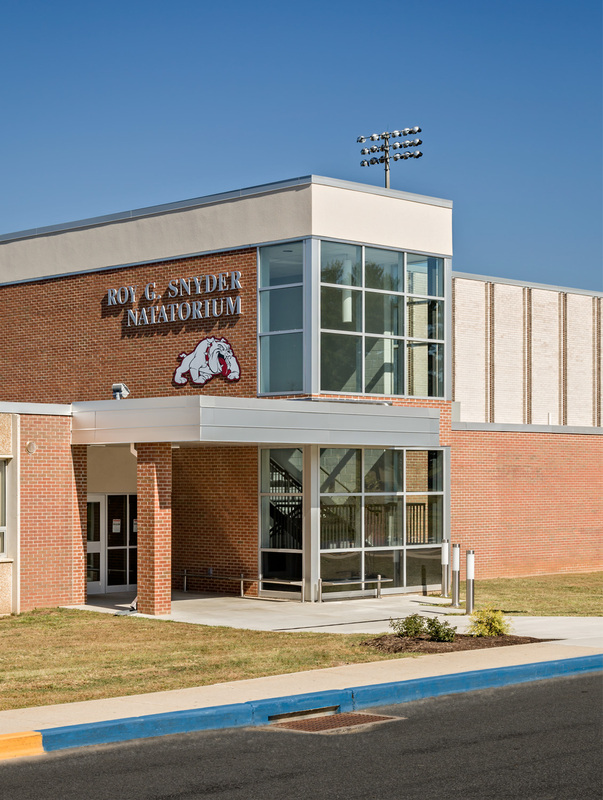 Over the last 48 years, the facility provided both the students of the District and members of the surrounding community with a place to learn, train, and relax. While the facility was well maintained, at the end of almost 50 years of service, extensive renovations and upgrades were needed to meet newer codes and an extensive range of program services. Due to existing site constraints, the construction of a new facility was not an option. The existing facility therefore needed to be expanded internally. 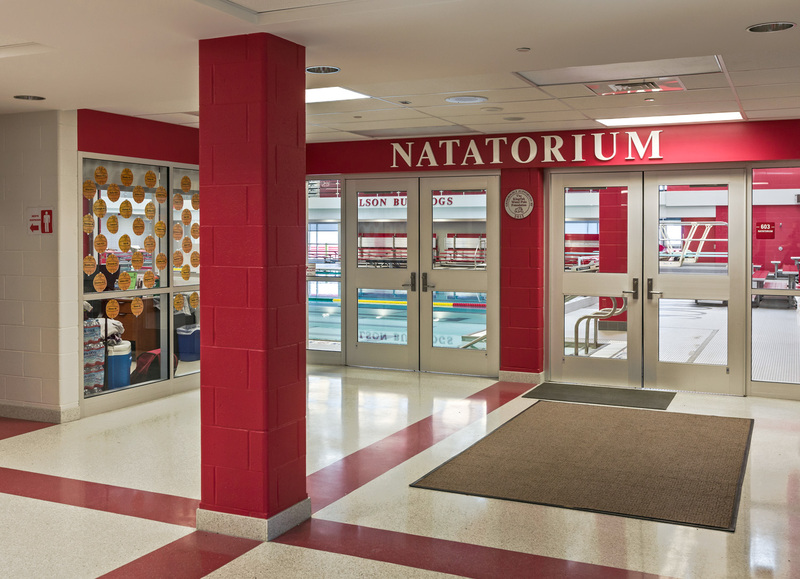 By reconstructing the girl’s locker room in a courtyard, the pool was able to be increased from six lanes to a ten by ten lane facility that offers both an all deep competition area for water polo and a shallow area for instruction and recreation. The new facility also doubled the seating capacity and surrounding deck area. The square format, with ten lanes in each direction allows multiple groups to hold practices at the same time, freeing up more time for instruction and community use.